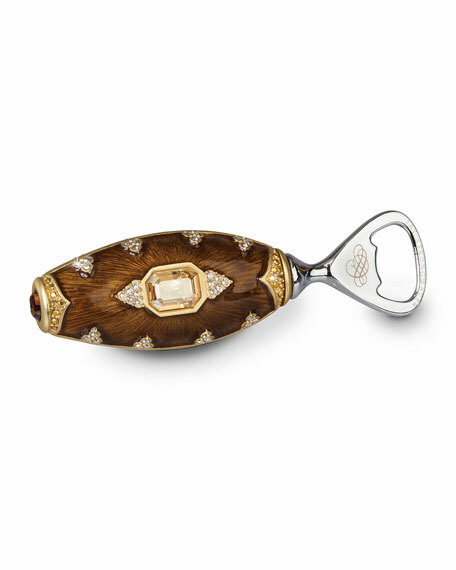 Handcrafted engraved stainless steel bottle opener. Cast-pewter handle finished in 14-kt. 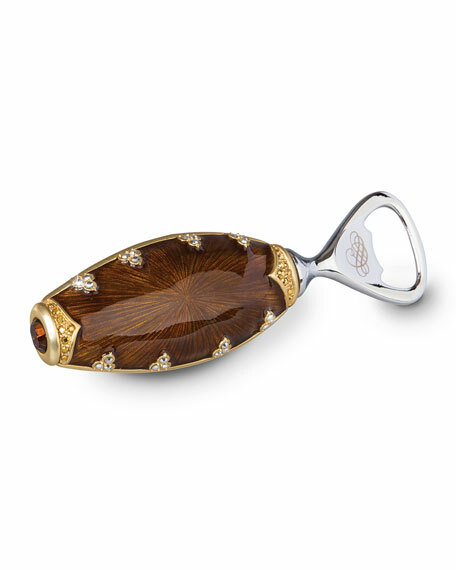 gold and amber enamel with hand-set Swarovski® crystals, including large emerald-cut center stone.